March of 1998 I'm asked to remove the old clock mechanism from the Lamppost clock in front of the Station. The Lamppost is being sent to Medfield Mass. To have the casing rebronzed and refitted with new dials and electric Mechanism. The Old mechanical mechanism will not be used in the restored Lamppost. 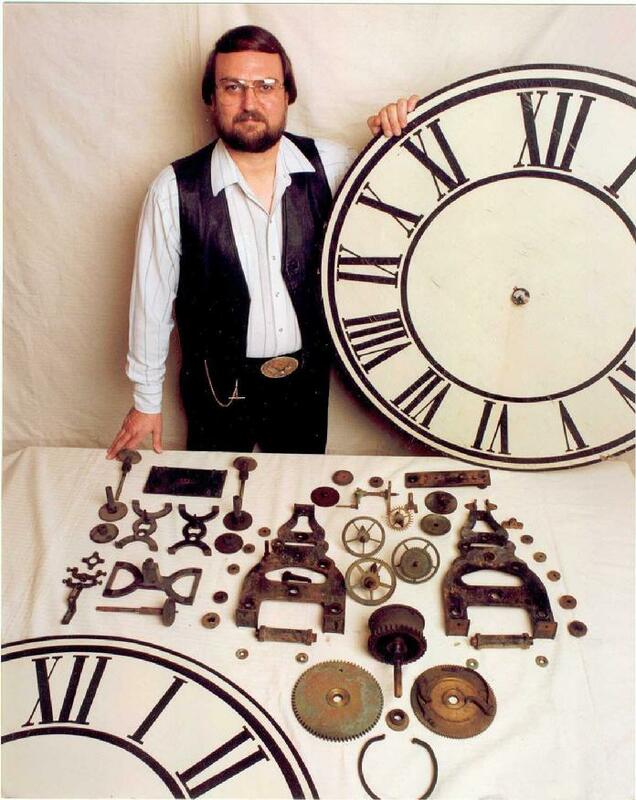 The clock was made in the 1880's by the E Howard Clock Company. In the mid 1880's the clock was at 10th and main until 1918 when the Mace Jewelers acquired the clock and moved to 11th and Grand. 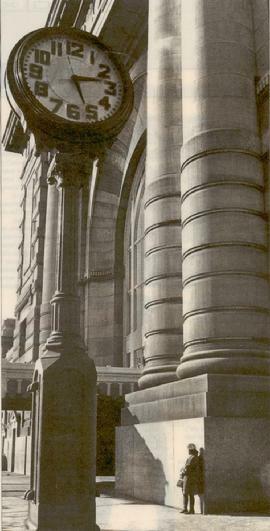 Then in 1936 the clock was moved in front of the Union Station. The old clock mechanism is badly rusted and the wheels are worn and carotid, some wheels would have to be remade, but what a beautiful clock works this would be restored to it's original condition. I tried to encourage the committee to restore the old clock works, but there were no funds available for such a restoration. So I offered to restore the Mechanism back to its 1880 original look down to the color of the pin striping. And donate it to the Union Station, so everyone could enjoy this beautiful Timepiece running on time, as it has since the 1880's. I had a frame made to hold clock movement and lead weight to show how the clock ran in the Lamp Post. Also had two clock dials and two pair of hands made and aluminum frame to keep them in place and to show how it kept time with the drive shaft going up to the motion works that work the clock hands. 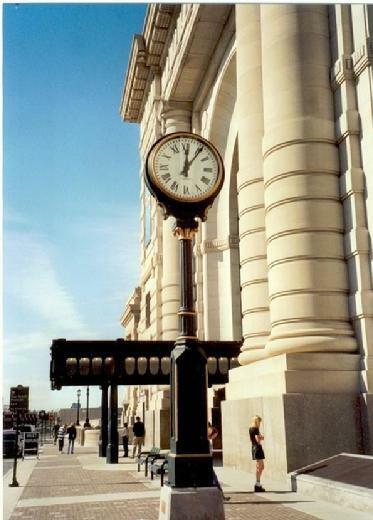 The clock has been running at The Union Station since Spring of 2000. They have moved it to different places in the Station from time to time. Right now it is located across from The Chocolate Factory store. Give the clock a visit and you will see The Clock running as it did 130 years ago. The look of the Lamppost Clock was restored to look more like the clock it was in the 1880's the dark bronze finish, the gold pin striping, the roman numbers on the dial. But with the new up to date electric clock drive with a computer control, just like the ceiling clock, the clock will reset it's self when daylight savings time occurs, or when the power goes off the clock will reset it's self back on time.